Dwyane Wade's Personal Chef gives you a delicious recipe to try for your next summer party. Looking to "mix things up" at your next summer soiree? 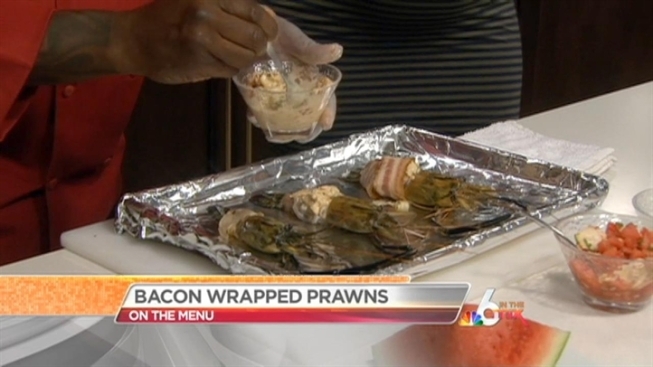 Dwyane Wade's personal chef, Richard Ingraham, stopped by 6 in the Mix to show viewers how to make Bacon Wrapped Prawns with White Peach and Lobster Stuffing, a perfectly paired with some Ciroc Summertime Lemonade. Check out the recipe below.